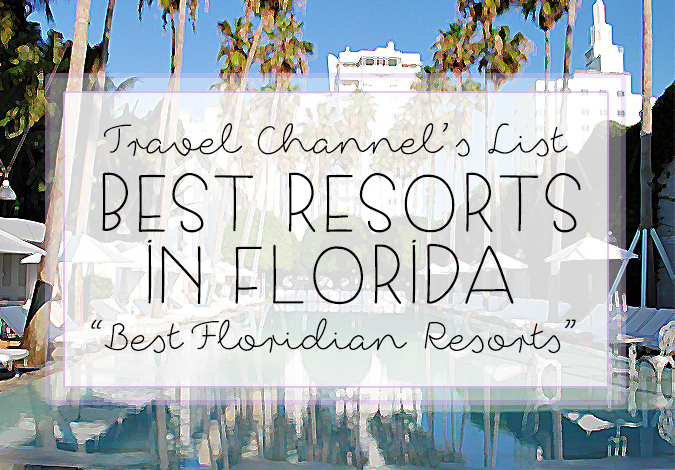 Do You Know Which Floridian Resorts Are the BEST in the State? TRAVEL CHANNEL Does! Wednesday, March 9th, 2016 at 11:35am. The Travel Channel, has long been one of the most respected travel and leisure magazines and its lists of “Best Of” Destinations are guides to the best places in the world. The Travel Channel released a list of the “Best Florida Resorts” to visit and they are definitely worth traveling to. These lists have been long admired for their killer recommendations for fine hotels and getaways. You can rely on the Travel Channel for the best advice when it comes to your traveling needs. Travel Channel’s team of experts research and report on the best spots in the world to travel to based on categories like: romance, exotic opulence, best all inclusive resorts and even most bizarre.